Opulence and grandeur are accepted as commonplace at the Biltmore Estate located in the majestic foothills of Asheville, North Carolina. While visiting for the 2014 Food Blog Forum, I had the unique opportunity to tour the Biltmore Estate from a foodie’s perspective. We visited several dining rooms, the butler’s pantry, the main kitchen, and completed our tour with a taste of Biltmore’s current culinary offerings. If you have visited Biltmore before you may be familiar with their award winning winery or one of their several impressive restaurants but here are a few lesser known facts from my trip to this must-experience portion of Asheville’s Foodtopia. 1. 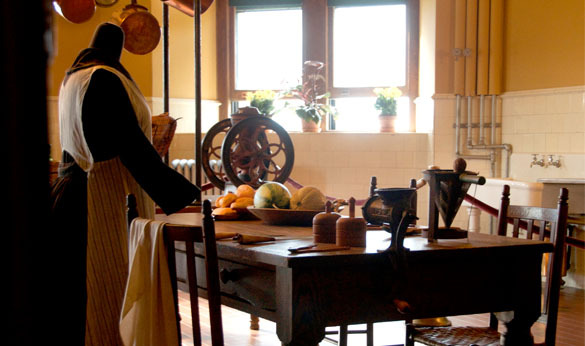 Biltmore had a farm-to-table program long before we had a name for the practice. In 1895, George Vanderbilt set out to create an entirely self-sustaining estate much like those common in the European countryside. The tradition lives on today with the estate’s own production garden, beef and lamb operation, a vineyard, and free range chicken and duck program. 2. 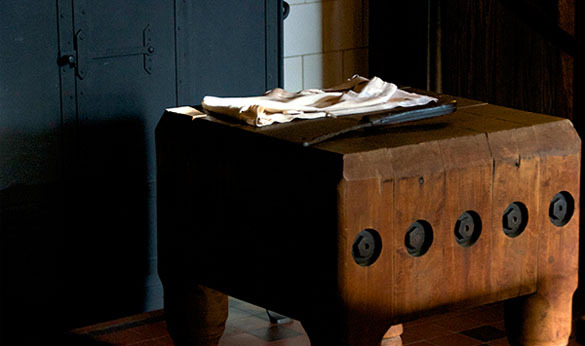 Even in the early 1900’s Biltmore Estate utilized warming units and refrigeration to ensure guests received meals at the precise temperature for prime enjoyment. 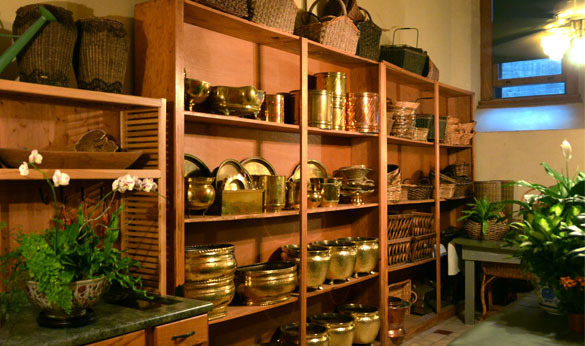 The butler’s pantry, home to these units, also housed the family china, and was the location of the plating station that the butler oversaw. 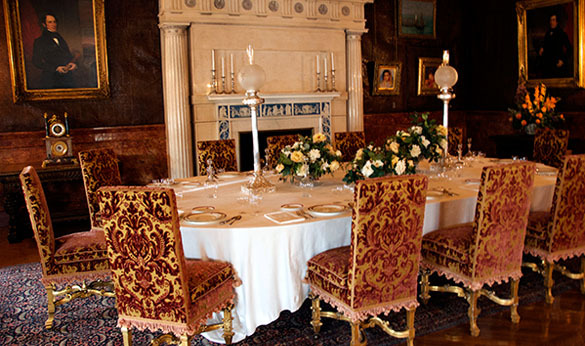 He was singularly responsible for inspecting each plate before it made it to the grand dining room. 3. Despite the large farm and livestock production on the estate, there were rare occasions that called for sourcing products from other local farms and suppliers. Although uncommon, one such order called for 12 broiling chickens, 10 roasting chickens, 28 pounds of leg and loin of mutton, 52 pounds of beef prime rib, and 2 baskets of peaches. That of course was in addition to all the estate-sourced ingredients. 4. 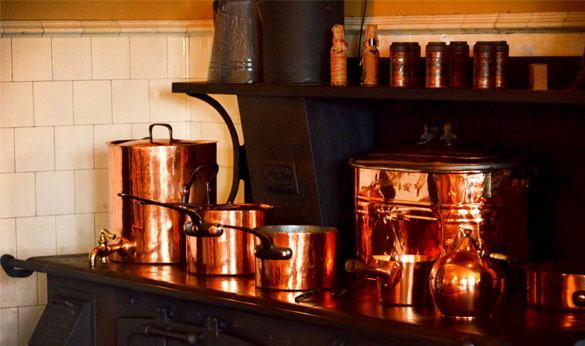 George Vanderbilt recruited the very best culinary talent he could procure to support the demanding food program at the remote, Appalachian estate. Importing talent from as far as Europe was commonplace, but Mr. Vanderbilt had an equal appreciation for local culinary talent. The guests often reflected on the unusual but pleasing regional food and preparation. 5. 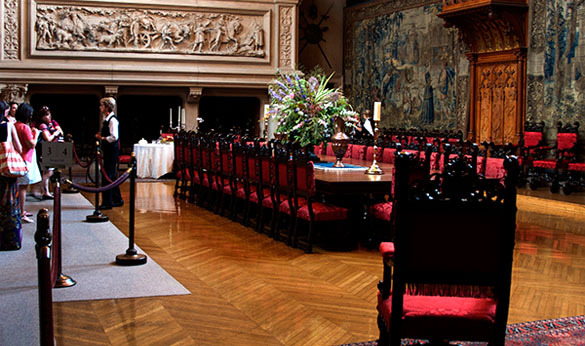 Dining at Biltmore Estate was no afterthought. From the meticulously selected ingredients to the daily selection of fine china and linens, every portion of the meal was crafted with intent and precision. An early inventory archive includes documentation of 1,139 linen napkins, 111 linen tablecloths, and included 62 unique patterns. It should be noted that the vast majority of these linens were hand embroidered and imported from Europe. 1. 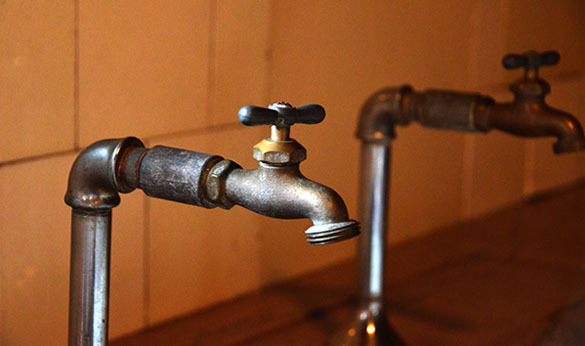 If you enjoy sparkling water with your meals, you’re in for a treat. 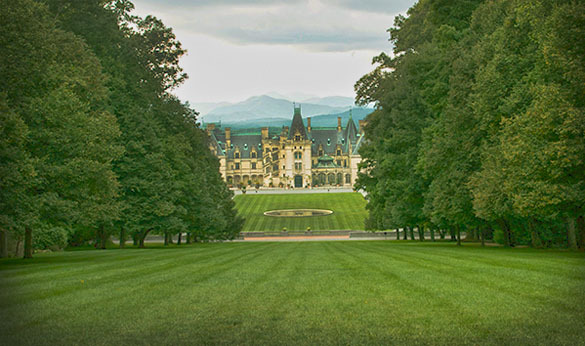 While visiting the Biltmore Estate, one of its many dining establishments, or the Inn at Biltmore, the sparkling water you are served comes directly from the property. In lieu of shipping this kind of offering in from Europe or across the country, Biltmore has chosen to reduce the carbon footprint of enjoying this luxury by utilizing the plentiful, mineral water onsite. 2. Today, Biltmore Estate serves as an incubator for culinary excellence with a property-wide culinary extern program. As an extern, the great chefs of tomorrow are exposed to everything from multi-course meals, catering, formal dinner service, special events, wine pairings, and sourcing. 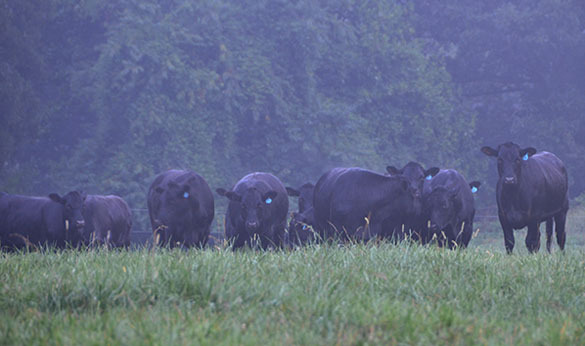 The sourcing portion of the extern program is particularly interesting because of the extern’s access to the Biltmore estate vineyard, livestock and poultry programs. 3. 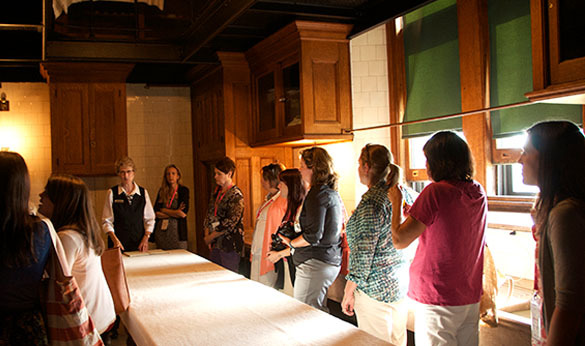 While visiting Biltmore, there are many opportunities to engage with the extensive food programs which include: Biltmore’s moveable feast series, the Biltmore Butler’s Tour, specialty wine and beer lover tours, High Tea at the Inn on Biltmore Estate, or take a private estate picnic. 4. The Biltmore Estate vineyard produces Chardonnay, Riesling, Viognier, Cabernet Franc, Cabernet Sauvignon, and Merlot grapes. While visiting the estate, be sure to stop in and enjoy the extensive wine offering at the estate’s winery. 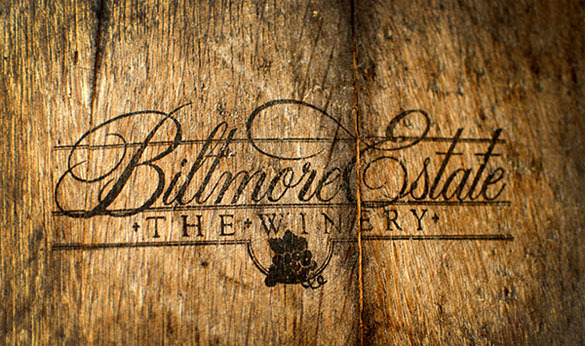 Today, Biltmore Winery is the most visited winery in the country and sells over 1 million bottles annually. 5. 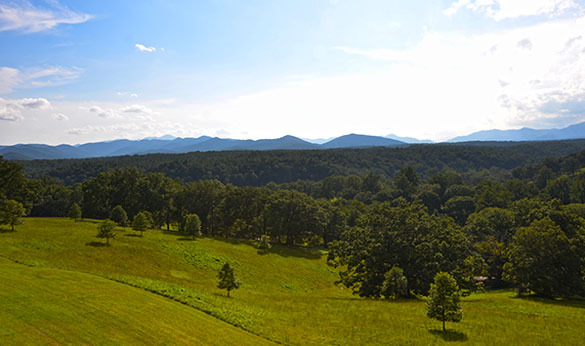 Not only is Biltmore Estate located in “Foodtopia” but in 2012, Asheville was also named the first, “Green Dining Destination in America” by the Green Restaurant Association. Biltmore is currently home to two Certified Green Restaurants: Cedric’s Tavern in Antler Village and Bistro. A few of the highlights of these green restaurants include, onsite food production, composting and recycling programs, green pest control, storm water mitigation, extensive vegetarian offerings, and waste-grease onsite biodiesel pumping.